Halloween is upon us, so I’m frantically trying to crank out the Halloween party swag. 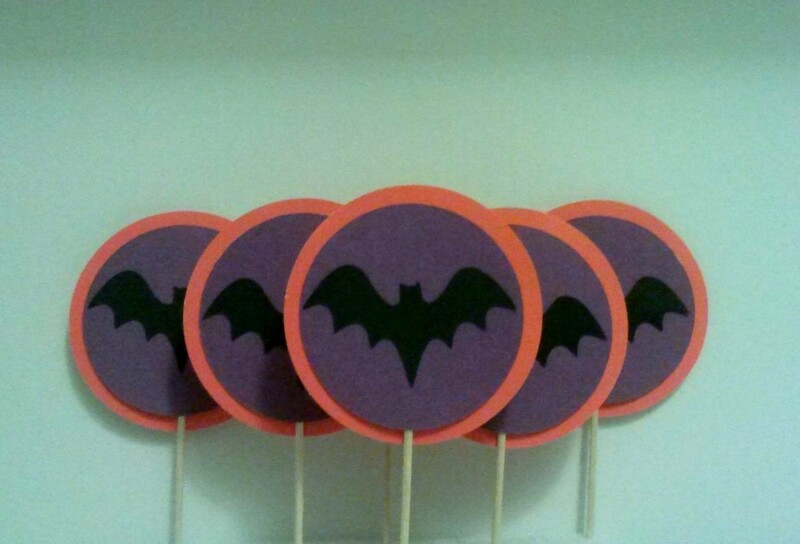 First stop, super cute orange, purple, and black bat cupcake toppers. These are slightly larger than previous toppers, but the big ones are gaining in popularity. Not to mention, the bat needed a bit of a larger platform to really stand out. Check them out on Etsy.